The minister for women, Kelly O’Dwyer has released the government’s ‘Women’s Economic Security Statement’ which includes changes to Paid Parental Leave. There are a large number of other initiatives that are designed to improve women’s financial security by focusing on workforce participation, earning potential and economic independence. The start date for these initiatives will be 1 July 2020. There is a significant focus in the Statement on helping victims of domestic violence achieve economic independence through early access to superannuation and increased funding for no interest loans. The changes to Paid Parental Leave Scheme are designed to improve the flexibility of the current system, especially for those who are self employed and small business owners. I regularly discuss with small business owners the problem of keeping their business going while meeting the requirements of the PPL Scheme of not working for 18 weeks. Few small business have that option available to them. Splitting your Paid Parental Leave into separate blocks. Currently you must take the entire 18 weeks of payments in one continuous block. If you need to return to work before your 18 weeks are finished then you lose any remaining PPL. Currently about 2,300 people return to work each year before they have received the full 18 weeks of their payment entitlement and they miss out. The new initiative will mandate the first 12 weeks to be taken within the first year of the child’s life, but the second block of six weeks can be taken within the first two years. The current Work Test requires that you work for 330 hours in 10 months out of the 13 months before your due date. This must be done without a gap of more than 8 weeks between two work days. The new initiative will allow for greater flexibility in the Work Test with gaps of up to 12 months allowed. There will also be the ability to move your Work Test dates forward should you have to stop work earlier in your pregnancy than expected. I will keep updating this page each time more information is announced on the changes to Paid Parental Leave. Learn about Dad & Partner Pay . Stop wanting to pull your hair out trying to get it done! Malcolm Turnbull announced in a speech last week that he intends to introduce changes to Childcare funding as soon as parliament resumes. I understand that this will happen next week. If it does pass through parliament early this year, as hoped by the government, it will start at the intended date of 1 July 2018. I have written in the past in detail what those changes will be and you can read my detailed explanation here. We are well over due a change. I have calculated that my childcare fees have increased by 57% from 2011 when my eldest started long day care to now with my youngest. However there have been no changes AT ALL to the Childcare Rebate cap of $7,500. In 2011 I did not reach the cap with three days a week of childcare, now in 2017 I will reach it at around 10 months into the financial year. This is for the same level of care and probably with our carers receiving similar salaries. Not impressed. So what is stopping parliament from passing the legislation that will approve these changes? These changes were first introduced in 2013 so what is taking so long? It is that in order to put an extra $3 billion into Childcare funding, the government wants to raid another Family Benefit. Simply, to increase funding for Childcare payments, the government is planning to reduce funding for Family Tax Benefit and this is creating a lot of push back from those that hold the balance of power in our parliament. And so we remain at a standstill. Again. It will be interesting to see what the government will be willing to negotiate in order to see these changes implemented. As usual, I’ll keep you updated. 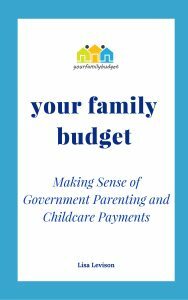 If you are still unsure of how you can take advantage of the current Childcare funding arrangements, my guidebook Your Family Budget tells you how to set up your arrangements to ensure you don’t have to repay Centrelink at the end of the year. Also it includes details of the best way to receive your payments for your situation plus simple calculations that will help you determine how long it will take for you to reach your Childcare Rebate cap of $7,500. 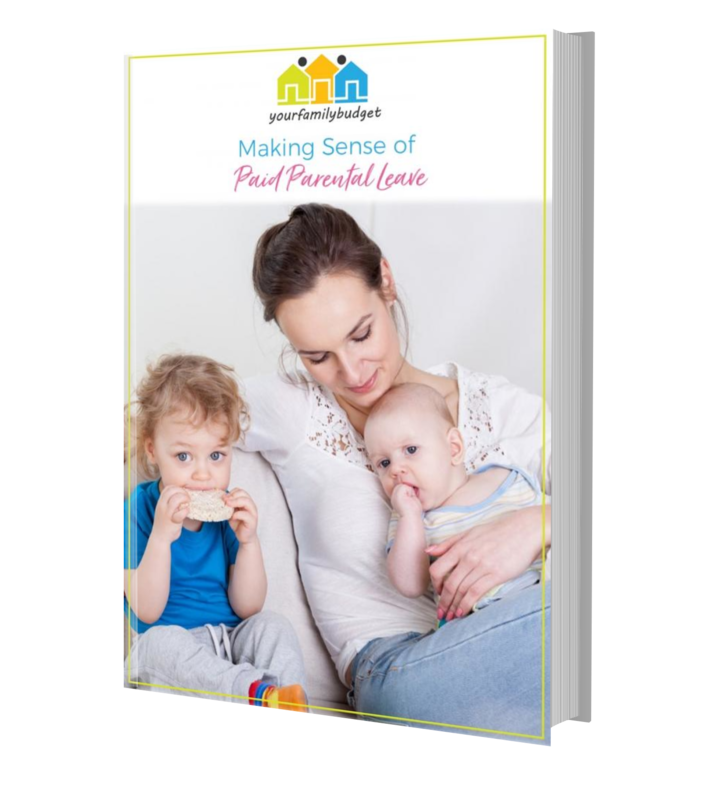 You can purchase and quickly download Your Family Budget here.